This beautiful dress is designed to be worn during pregnancy and for breastfeeding. It is a very flattering style in a gorgeous soft viscose spandex blend, has a jersey feel, with plenty of stretch. In a stunning coral watermelon. The dress has a 3/4 length sleeve and lovely draping at the bustline, which covers the inner bodice which can be pulled aside for discreet breastfeeding. 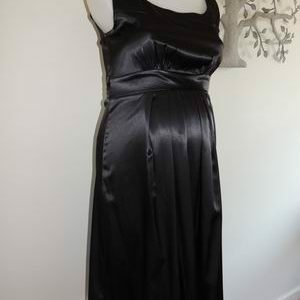 The dress has soft gathering over your baby bump, very flattering for all stages during and after your pregnancy. New with tags by Ninth Moon. Be the first to review “NEW Coral Watermelon Feeding and Maternity Dress” Click here to cancel reply.